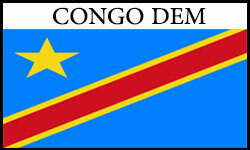 Are you looking for expedited Legalization Services from Congo Democratic Embassy? DC apostille provides fast document Legalization from the embassy of Congo Democratic in Washington DC for documents issued in the United States and destined for use in Congo Democratic. Congo Democratic is not a member party to the Hague Apostille Convention and still requires Embassy certification in the United States to acknowledge the authenticity of foreign documents. DC apostille can legalize certain types of documents from the embassy of Congo Democratic in Washington DC such as federal documents or public States documents. Your document must be notarized by a notary public in the same state that issued the document before you can order our Congo Democratic Embassy Legalization service. You must call us first to confirm your request.